What is so addictive about crafting? It's making something out of nothing! Looking around my office yesterday I was overwhelmed. I have enough craft supplies that I am confident I could make Martha Stewart cringe. What should I use? I had been cleaning and dejunking my office most of the day so I was already in the mindset of finding things I no longer needed and ditching them. My eyes settled on this random bag of synthetic flower petals. Nothing special about them. They have long since lost their original packaging to a toddler. The were one of those things I picked up on clearance, two Valentine's Days ago, thinking that they were some great find for a project I never got around to. This is otherwise known as the crafters curse. Even if you aren't a packrat you transform into one! I was determined to make them into something special from the nothingness they were in the abyss of my office. 1. 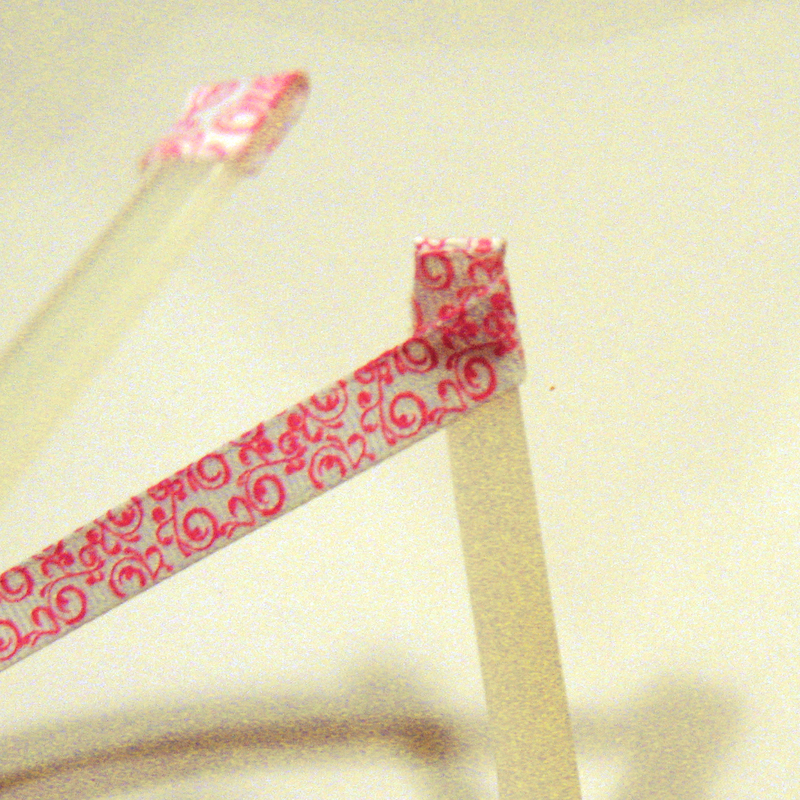 Take your 3/8" headband and glue tabs on both ends so that the plastic ends are covered. 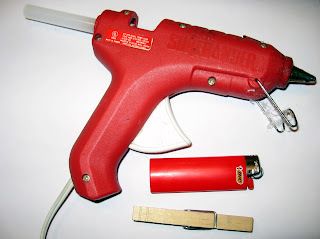 Heat seal the end of your ribbon by running the flame of your lighter along the edge of the ribbon. 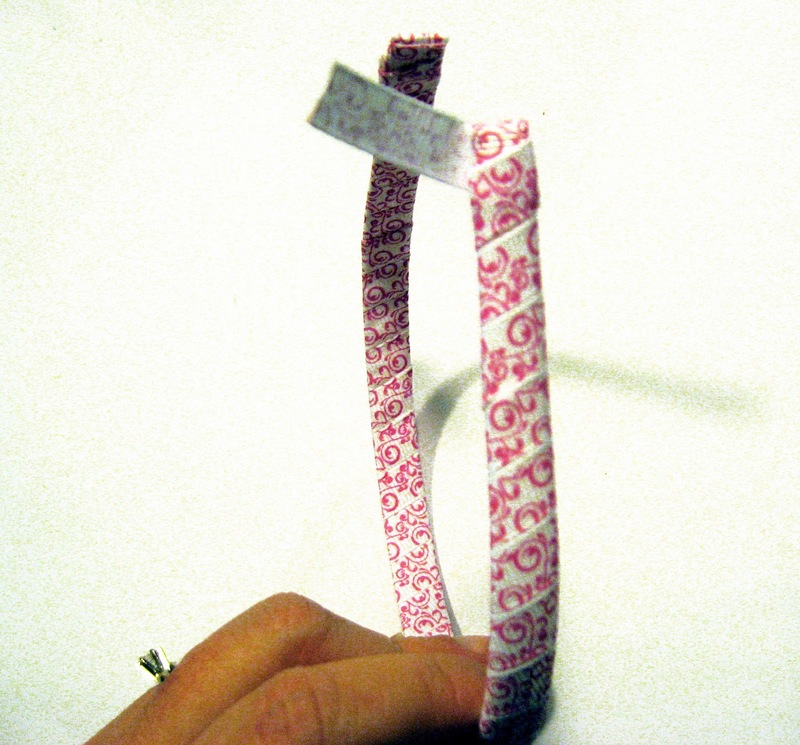 By melting the end of the ribbon this prevents fraying. You will notice a slightly glossy look as it melts. 2. 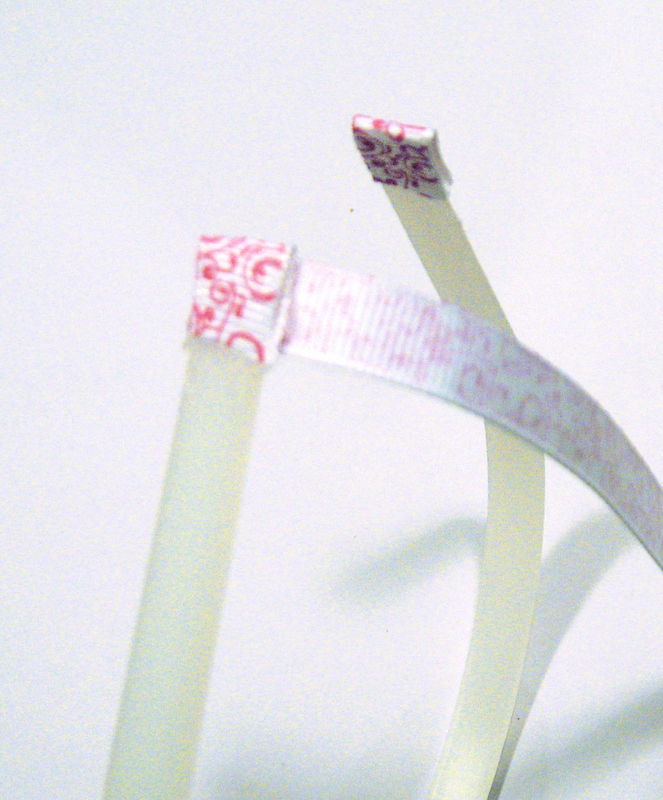 Glue the ribbon on the inner side of the headband straight across at a 90 degree angle from the headband. 3. As you start to wrap, try to angle it at a 45 degree angle. Normally I have a very slight overlap for the first 1 or 2 times around the headband. The goal here is to get the ribbon to be wrapped next to each other not on top of each other. Wrap the full headband to the other end. To finish place a dot of hot glue on the headband, trim to the appropriate length to allow it to wrap around, heat seal this ribbon and hot glue to finish. Most things in nature grow in odd numbers. If you count most flowers' petals they will almost always be odd numbers. For making things more naturally pleasing visually you want to make sure you use an odd number of items. Arrange 5 petals with the pointy tips overlapping on each other as little as possible. We want to make this bottom layer as wide as we can with our petals. Hot glue in place by tacking them together with a dot of glue on each petal. Repeat this step on the next layers. For each additional layer try to glue the pointy end of the petal further in so that your petals overlap more and are making a slightly smaller layer. I used 3 layers for my flower. Glue your layers together. Now all we need to do is finish your flower. 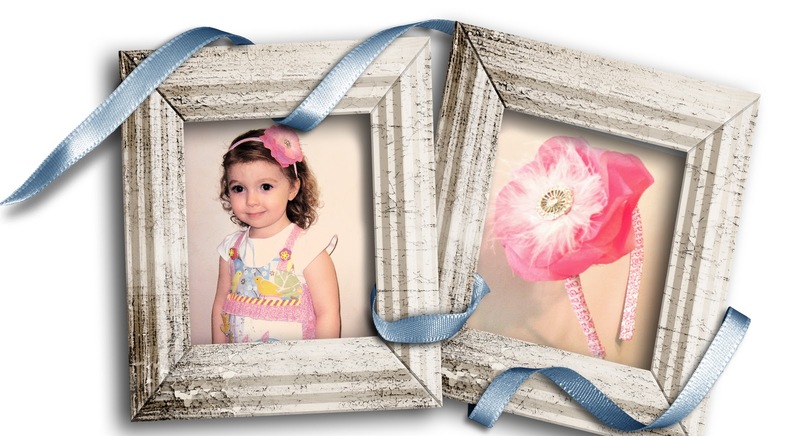 Add your embellishments to your flower. I added a puff of marabou because feathers are in style right now. I also wanted to use something soft to balance the very hard metal presence of the blingy button I selected. You could embellish your flower with regular buttons stacked, acrylic rhinestones, bottle caps or anything else that says, "USE ME!" that you have sitting in your house. 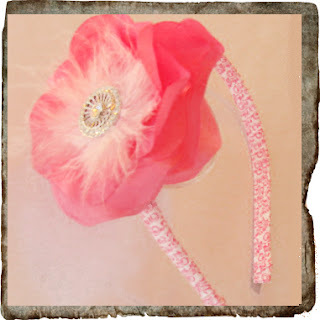 Attach the flower to the headband with hot glue. I use both hot glue and E6000 to secure it to the headband by alternating a dot of hot glue with E600 then another dot of hot glue. Fold a couple of the lower petals back under on the headband and place your clothes pin so that it can hold your flower in just the right spot while it sets up for the next several hours. If you opt to use only hot glue you can skip the clothes pin. 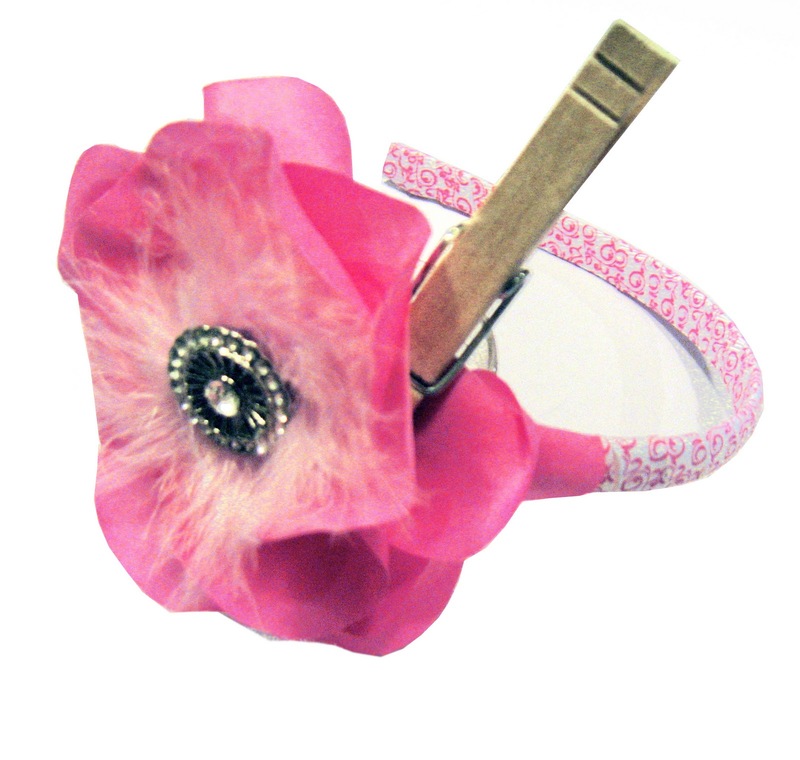 You now have a finished flower headband. Pretty unique as well as a perfect way to customize special occasion hair accessories. 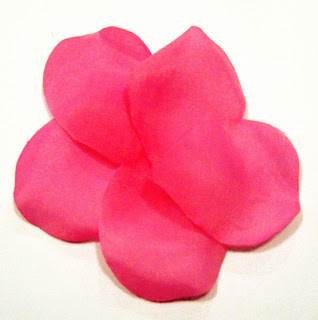 You can easily blend several colors of petals for a custom look. These petals are available in all craft stores year round in the wedding supply isle and you can use your coupons on them! Big Shout out to Silly Frilly Kids for the beautiful dress our model is sporting! Thanks for the tut. 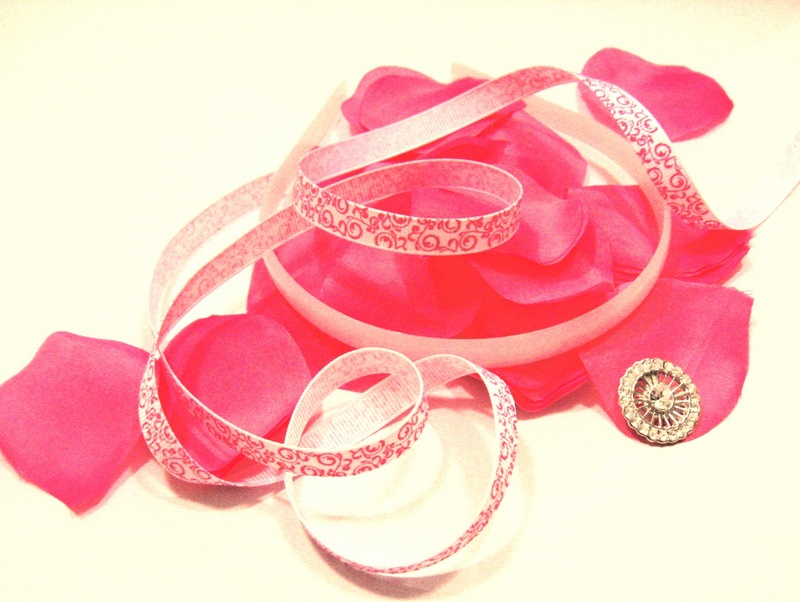 Love that swirl ribbon! Thanks for the tutorial, Wendy! 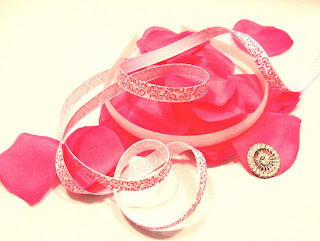 I never thought about using flower petals to make a flower. Now I am going to have to go out and buy some! What a fantastic blog! Great Job!!! Oh my goodness Wendy! I saw you posted the tut. today in the groups and hit the link - this is the first I've seen your blog (I know!! I'm so behind! LOL!) - I got down to this one and was like Hey! That's me!! I'm so impressed, this blog looks great!